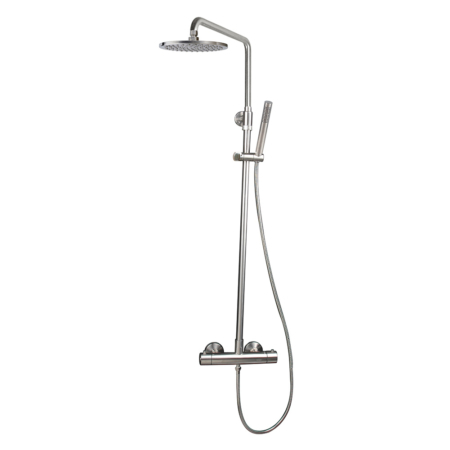 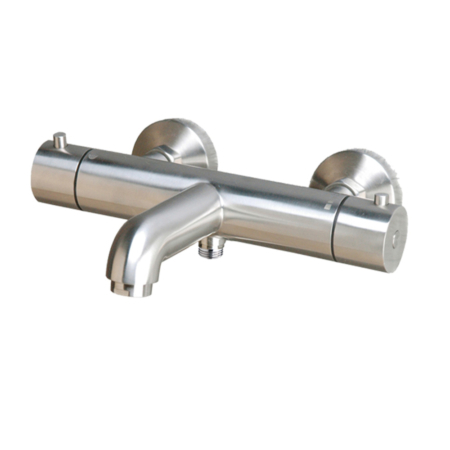 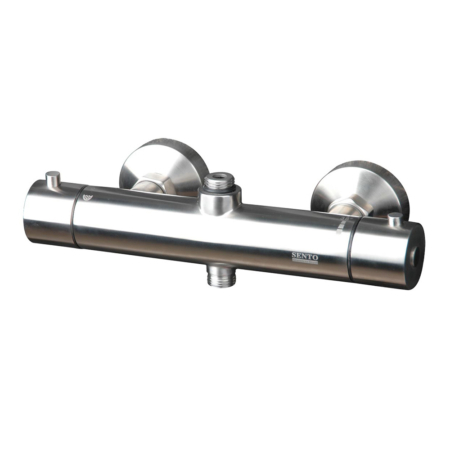 This stainless steel thermostatic mixer shower is a shower system with tub spout. 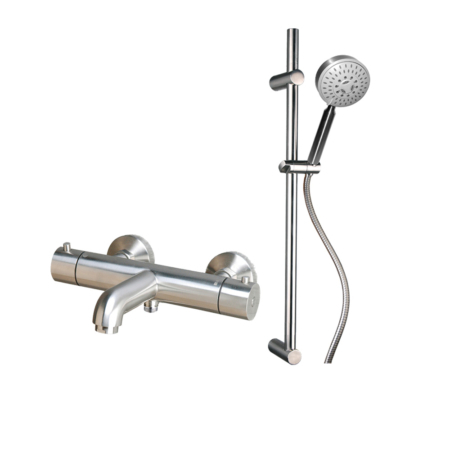 it comes with a 3 way thermostatic shower valve,incorporative of an anti-scald device, and featuring ceramic disc technology. 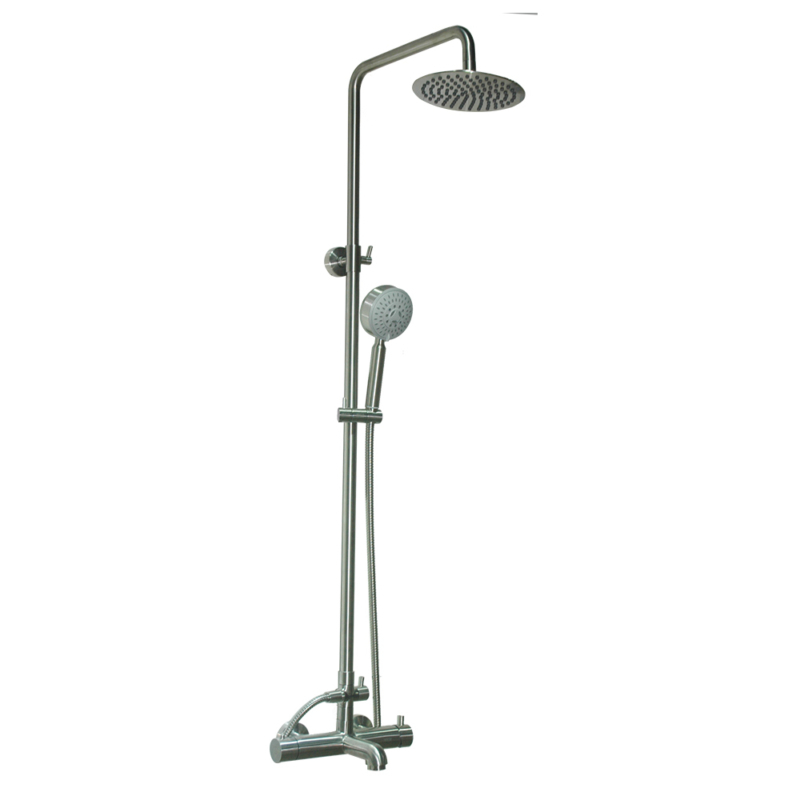 it supply water at a pre-set maximum temperature to three outlet such as A adjustable shower head , a bath filler and a hand shower diverter which goes for the hand shower, the version here is a high quality multi function handheld shower head. 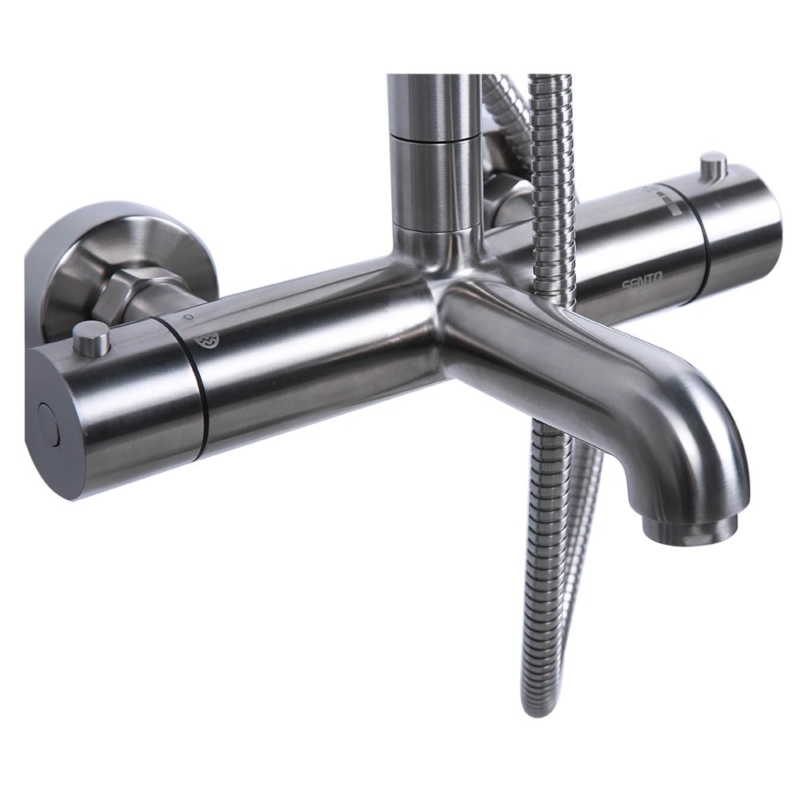 Besides, the adjustable handheld shower holder is also made by stainless steel , so No matter the water flow is strong or week, it can hold tightly if you want toget your hand free in the shower.